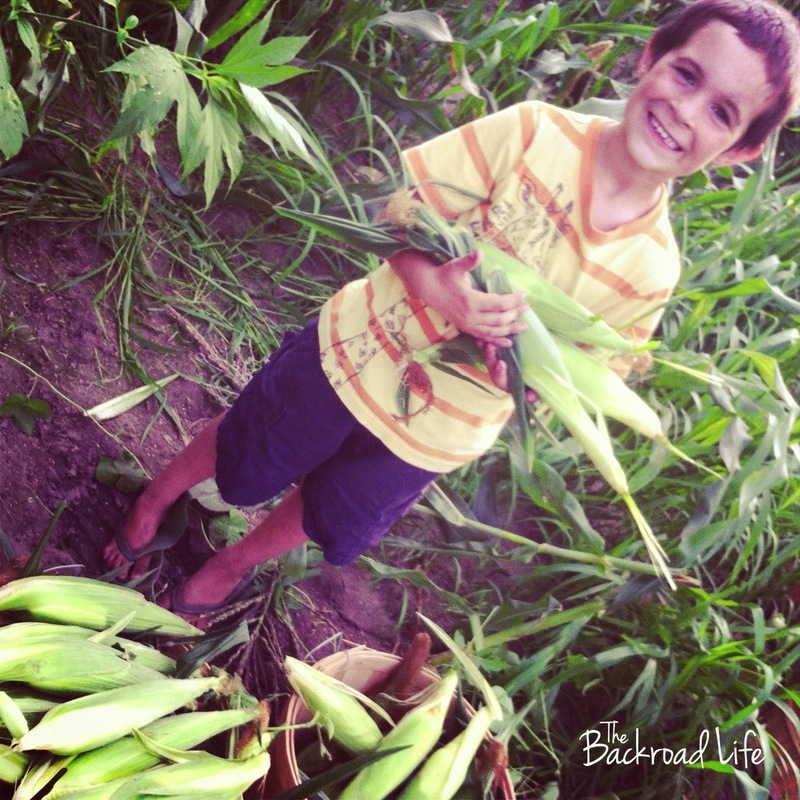 The Backroad Life: Why choose a CSA? First let me introduce CSA or Community Supported Agriculture. It is a partnership between you and the local farmer. A CSA supports sustainable farming and provides healthy food for your family. Each CSA farm has their own program designed specifically for their farm production, but generally CSA members pay up front, or many have payment plans, providing the farm with working capital during the season of preparation and planning. 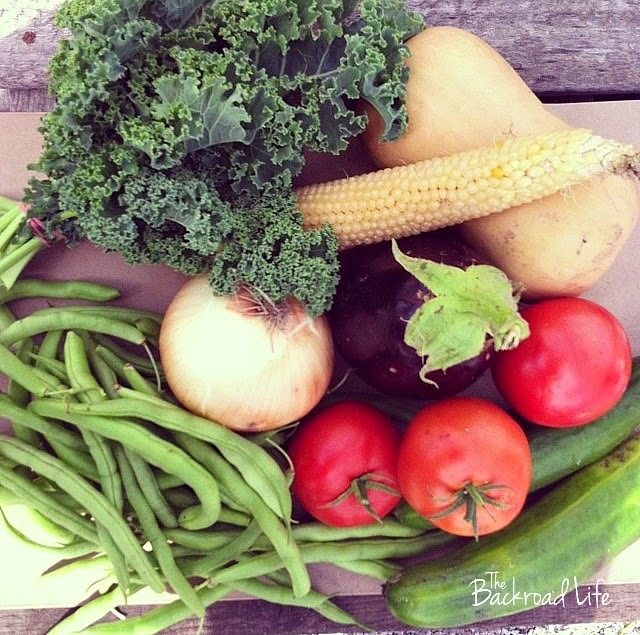 In return the CSA members will receive a box of fresh, locally grown produce each week based on their farms program. The CSA members share some of the risks of farming as well. For example, they may receive more of one product and less of another depending on the weather and other factors on the farm. With the beginning of the new year, also brings CSA signups for the majority of produce farms that offer a CSA program. CSA, or Community Supported Agriculture, farms provide fresh produce to members during the growing season. We are often asked about our CSA program, so I thought I would start with the benefits of being part of a CSA. 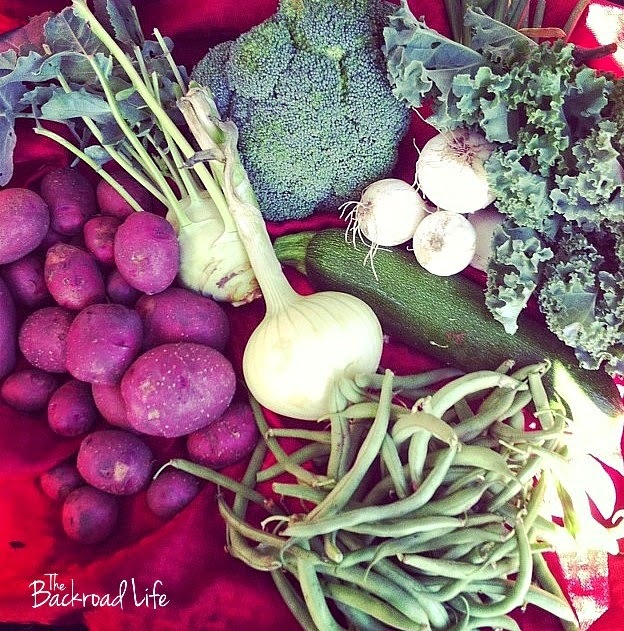 So why choose a CSA? - You will receive the freshest produce. We pick our produce for the CSA the night before and/or the day of delivery. With a CSA, the members are receiving produce that is picked ripe and fresh. At grocery store chains produce may sit on the shelf maybe up to a week before it is purchased or thrown out. Also, when stores have to purchase produce to be shipped to them, it is often picked before it is ripe, resulting in loss of some nutritional value. When buying from the farmer, you are leaving out the middle man, which is providing fresher produce for you. -You are buying local. You are supporting your farmer and keeping profits within your community helping your overall local economy. We can build up our local economy by supporting local farmers, artisans, creators, and businesses that meet our family's needs. CSA programs have a pick up option, typically at the farmers market, a delivery option, or both. -Eat healthy. When you are eating the produce that comes in your CSA share, you're providing yourself with high quality, nutrient filled food. Not only is it healthy to eat your vegetables, but also having a wide variety that comes in your CSA shares, is a great contributor to overall health. -Experiment with new foods. Kohlrabi, fennel, swiss chard, brussel sprouts, eggplant. You may get some vegetables that you haven't heard of or haven't tried before in your weekly box, but that is part of the fun of a CSA. How many times do you eat the same thing over and over. With a CSA, you get what is in season, and with that, you can work with, try new recipes, and eat foods you've never tried before or wouldn't think about using. Make smoothies by adding kale, spinach, or carrots. Change up your omelet by adding a different mix of vegetables each time. Add any of the vegetables to casseroles, salads, every meal. Eat them raw or cooked. So many possibilities. You might check out these cookbooks to help with cooking farm fresh vegetables. -Knowing where your food comes from. If you aren't able to grow your own garden or grow enough to meet your family's needs, joining a CSA is the next best thing. When joining a CSA, you know the produce is in good hands from seed to harvest to delivery to you. This also allows you to connect with the farmer, know who the produce is coming from, and learn and see how it is grown. -Save money. A CSA membership can cost anywhere from $350-$600 for a 15-20 week membership, depending on the farm and their CSA program offered, you end up only spending roughly $20-$30 on vegetables weekly. Since the produce comes directly from the farm, providing fresher produce that last longer, resulting in less waste. Some CSAs also offer meat, bread, egg, and fruit shares that you can choose as part of your CSA. Some may include select fruits as part of their CSA. Some farms may also offer half and full size shares based off of how much your family needs. -Preserve and store food. By joining a CSA, some weeks, you may receive excess green beans, tomatoes, or pickles, for example, that you know you won't eat before they go bad. By preserving the excess produce when it is in abundance is a great way to enjoy them after the season is over. Canning and/or freezing is also a great way to save money but still enjoy the produce you received from your CSA and all the benefits above. 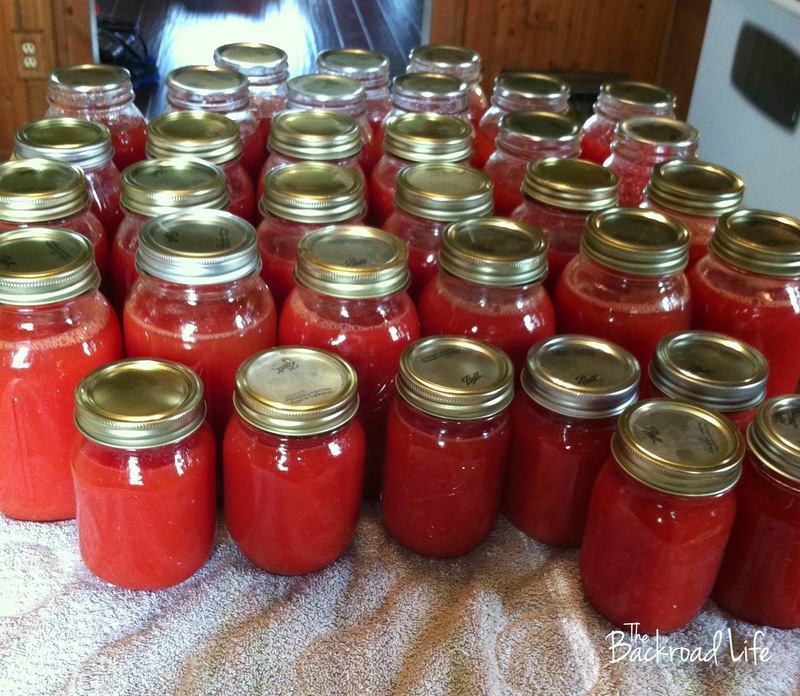 A productive tomato juice canning day for me. 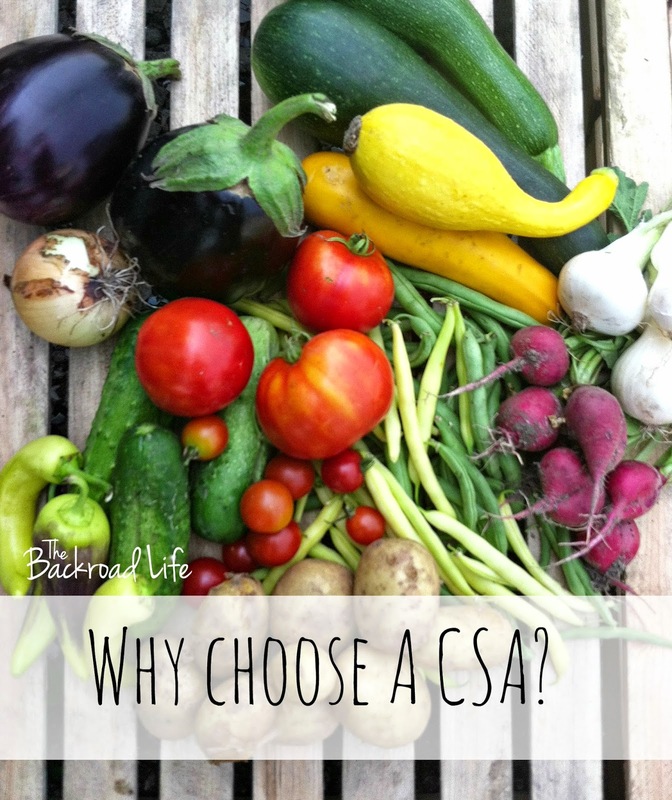 What better way to start the new year than to join a CSA for all the above benefits! Check out Local Harvest to find a CSA by you. I chose Klesick Farms as my CSA. What wonderful yummies I received every other week. Delivered to the door. They farm in Stanwood where I live. I would recommend the experience to everyone. Although now I have a huge garden to enjoy my seasonal food. I really needed this post! A local farm posted an opportunity this past fall to join their CSA and I didn't join, due to finances, but also my husband had never heard of them before. Your post has helped me educate him on the wonderful benefits of it! So I am working toward being able to join up next year! 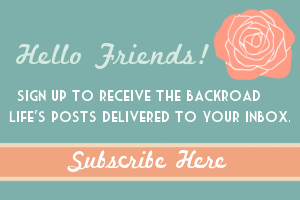 Thank you so much for sharing this with us over at Country Fair Blog Party, I really needed your post! Please join us again next month! 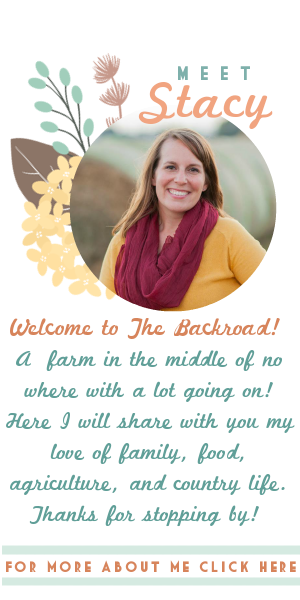 I featured you as one of my favorite posts from our January Blog Party! Thanks for sharing! Can't wait to see what you have for us this month! Here's the link to your feature and the link up!